Moving to Maui Checklist | Advice for Moving to Maui, Hawaii with Pets, Dogs, Cats, Kids & More. Advice for Moving to Hawaii with Pets, Dogs, Cats, Kids & More. 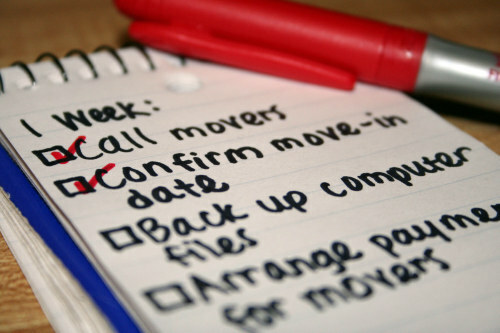 If you're If you're thinking of moving to Maui, you might want to take a look at our moving to Maui checklist beforehand. Deciding to move to Maui is a very big decision, the island of Maui is actually more expensive than a lot of other states around the nation. Before you pack up all of your things for the trip, you should review this checklist and make sure that you have everything in order, as this can also help you prepare for some of the things that you should expect to find once you have arrived on the island. Whether or not you know someone that lives here, you should do some research online to see what the moving to Maui reputation is. It's a huge move so you need to be positive & prepared! Maui is an island, therefore no matter where you are moving from, you are going to have to take a plane or possibly a boat. So if you are making the move with pets, these are some things you need to take into consideration. There are quite a few things you need to do before you can bring your dog to the islands. All of this can be a lot of work for an individual, or even a family. You should definitely consider hiring a moving company, they can help make the transportation process a lot easier. Moving all of your belongings requires a lot of effort and it's often more work than most people are willing to take on themselves. Moving companies offer very affordable rates, be sure to do some comparison shopping before you decide on a company though. By looking online, you can find multiple companies and you should be able to reach them by phone or e-mail. Be sure to ask important questions like how much money they charge, how long they've been in business, and other types of concerns that could be a factor when making a decision. Be sure to look online as well, you can read reviews on moving companies on the Internet. Lot of customers will tell you whether or not they had a good experience with the company and if they would recommend them to somebody. Maui can often have more expensive housing options than other states. It's important you prepare your budget appropriately before you move to the area. Be sure to check out the prices on apartments or houses so that you can be prepared for what you should expect to pay. In Maui, you can sometimes find studio apartments for very reasonable prices, but a one bedroom or two bedroom apartment is going to be closer to or even over $1000 per month. Moving to Maui with dogs may possibly leave you with less options. Not all apartment complexes are animal friendly. Be sure to speak with a real estate agent in the area and go over the aparments Maui options that are available to you before you move. Trying to transport a lot of items without using boxes would be very difficult. Boxes can be very important to the moving process, so be sure to prepare some boxes and put all of your items into boxes before taking off for Maui. You may also want to look into special boxes that have padding on them. Undoubtedly, it is going to be a very long trip from where you are located now to the Maui area. You might want to make sure that all of your items are well protected and they will not get damaged throughout this process. If you are looking for moving to Maui advice, I suggest getting some books on Maui and maybe asking around online. There are good areas on the Maui island, and of course there are bad areas. It's important to know what amenities are going to be located near your home. Finding a home that has restaurants, stores, and other types of common amenities located near your home is going to be very important. You can do some of this research online, Google Maps and other types of resources can be a significant help. Be sure to ask your real estate agent these questions as well, they are likely familiar with the area and should be able to answer any questions that you have. Moving to Maui is a very big decision and it requires a lot of planning and research. Be sure to prepare yourself ahead of time. Always remember that all of the food on the Maui Island is imported, so you should shop at big brand retail stores to save money. If you are thinking about moving to Maui with your cats or dogs, you should look into all the rules and regulations beforehand to make sure everything goes smoothly. Some condominium complexes and apartments will not allow dogs on the premise but they will cats. Of course, it's up to the property owners if they will allow pets in their home or condo. Upon arrival in Hawaii, there is an inspection that takes place once your animal is transported to the animal quarantine holding facility. You need to plan your flight accordingly otherwise your pet will have to be held overnight for the next inspection time. The reason for this whole process is to keep pets and residents free of serious health problems brought on my the rabies virus. If your pet does not meet the requirements in Hawaii, they have to hold them in Quarantine for up to 120 days. For more information on moving to Maui with cats and dogs, click here. There are several Maui condos that allow dogs on the property including Maui Kamaole, Island Surf, and Wailea Ekolu. Buying your own home is always an option if you'd rather not deal with condo rules.